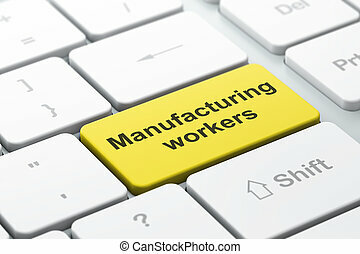 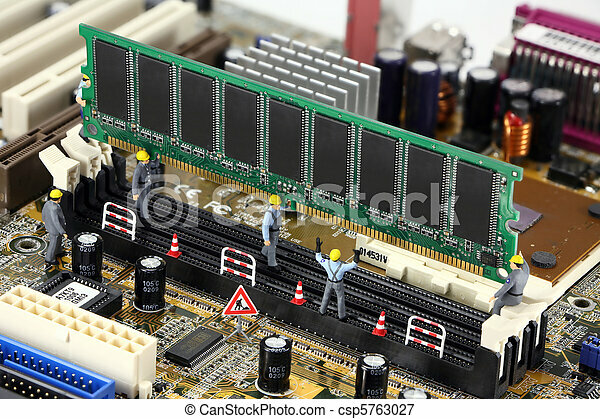 Concept: construction workers installing computer memory. 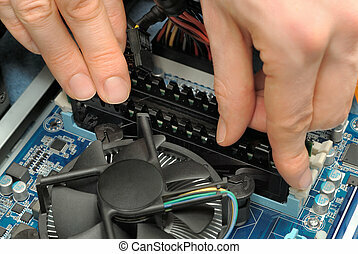 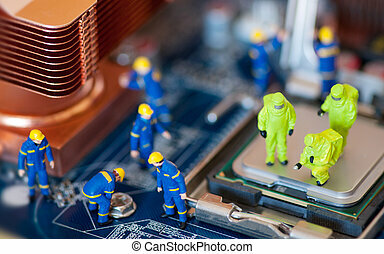 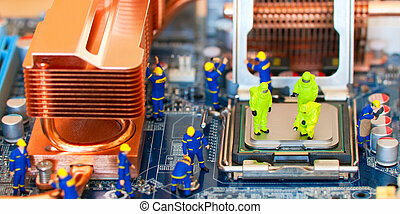 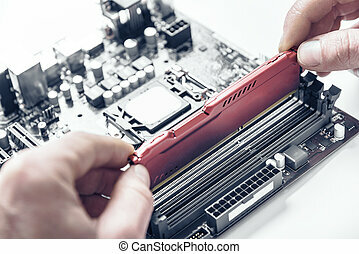 Concept images of miniature construction workers installing computer memory on a motherboard. 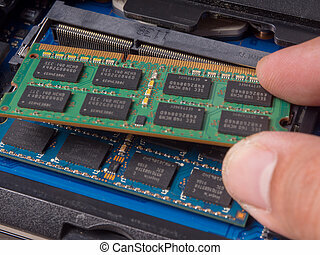 installing memory. 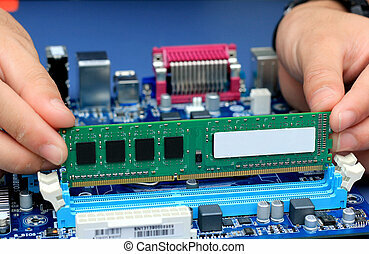 Laptop RAM upgrade. 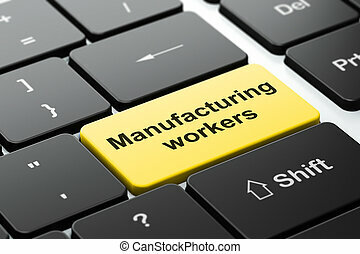 Construction Business Concept. 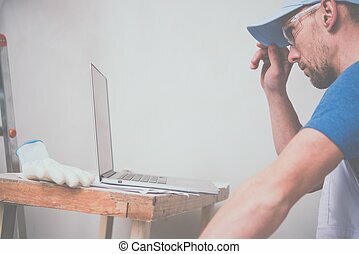 Caucasian Worker with Laptop Computer Checking Project Schedule. 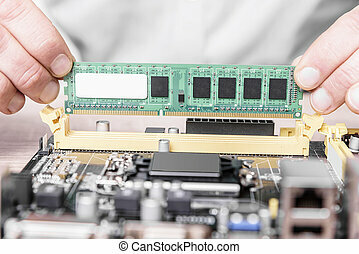 Computer memory installation. 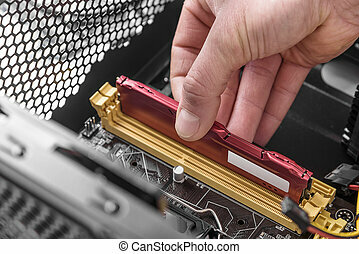 Man's hand installs memory in the computer. 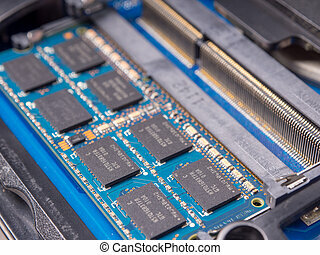 Computer memory installation. 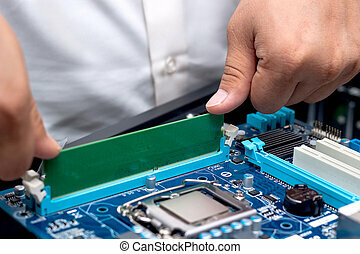 Man's hand installs memory in the computer. 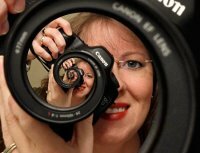 Toned photo.